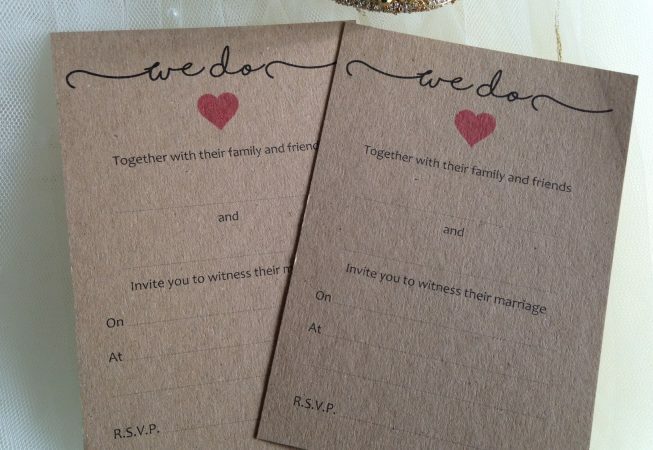 Rustic Wedding Invitations and Envelopes – “We Do” design to use as part of producing your own invitation packs. This design comes printed with the We Do and Red love heart. 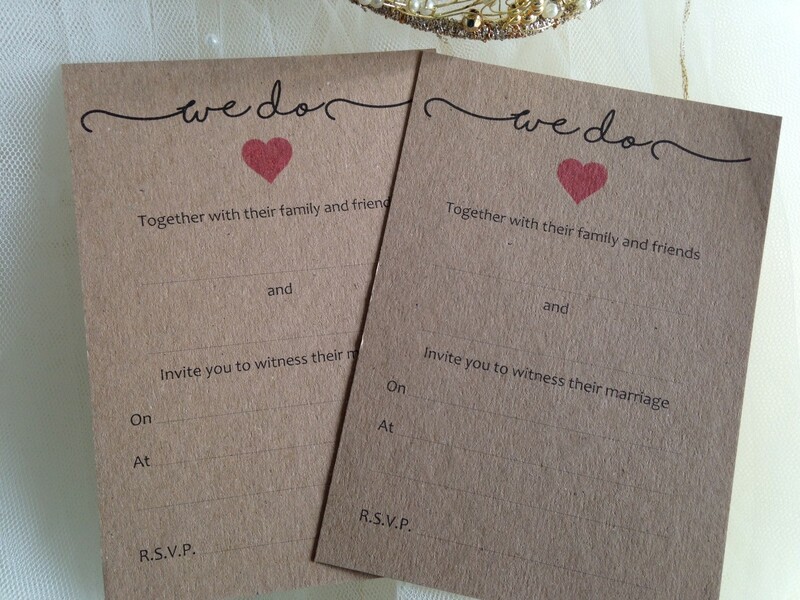 Luxurious heavyweight 280gsm Brown Recycled Kraft Card. Cards are 10.5cm x 14.5cm (A6). Sold in packs of 20 at £6.99 each. Select number of packs required at checkout.